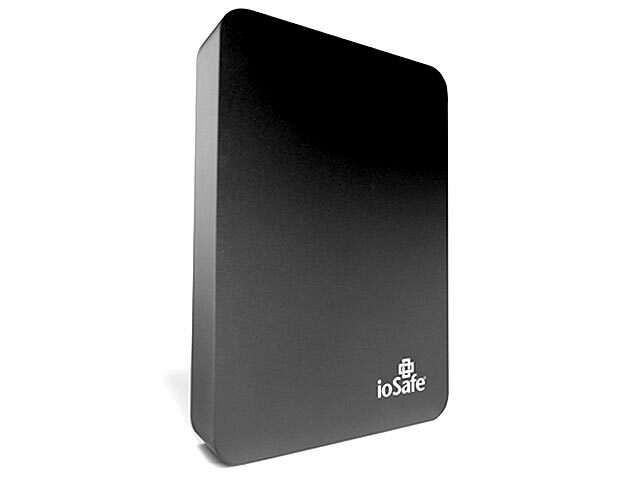 In a bid to stop frequent loss of data due to the failure of these portable drives that may have been subjected and exposed to different kinds of environment, many portable hard drive producing companies have started producing what is known today as “Rugged Portable Hard Drives”. The word rugged means “strongly made and capable of withstanding rough handling”. 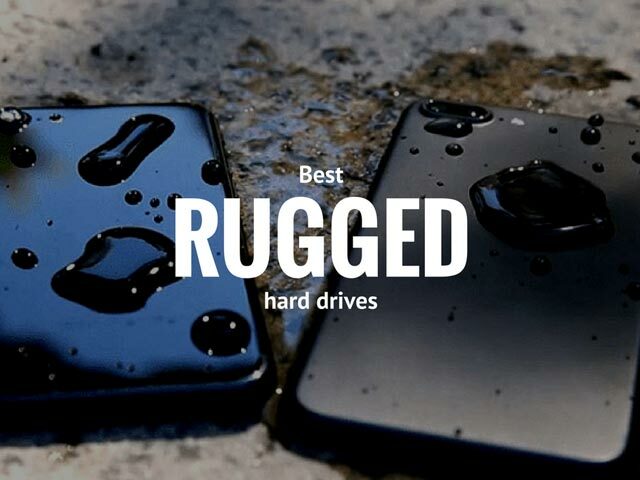 These rugged portable hard drives are shockproof, dustproof, waterproof and are military grade, designed to withstand varying degrees of the aforementioned stress. Below is a list of some of the best rugged portable hard and solid state drives in the market, and why you should buy them. One peculiar thing that makes the ruggedness of this drive stand out is the fact that it can withstand crush resistance of up to 2500lbs – 3 or 4 times the weight of some species of whales. The drive comes with a data recovery service alongside a warranty of $5000 which includes: free shipping, repair or replacement in case of any data loss while using the drive within the warranty period. Using ChemSafe Technology, data on this drive is protected when it is immersed in liquids such as diesel, water, hydraulic fluids etc. for up to an hour, while the EnviroSafe Technology protects the data on the drive from UV exposure, high temperatures, icing or freezing rain for up to 24 hours. The drive can also be at high altitudes of up to 15000ft. It’s USB 3.0 and 2.0 compatible and comes with its own backup software. This storage device is a dependable military grade hard drive capable of withstanding weights of 660lbs placed on it. What’s more? It is partly waterproof, being able to last just about 30mins in water depths of up to 1m. 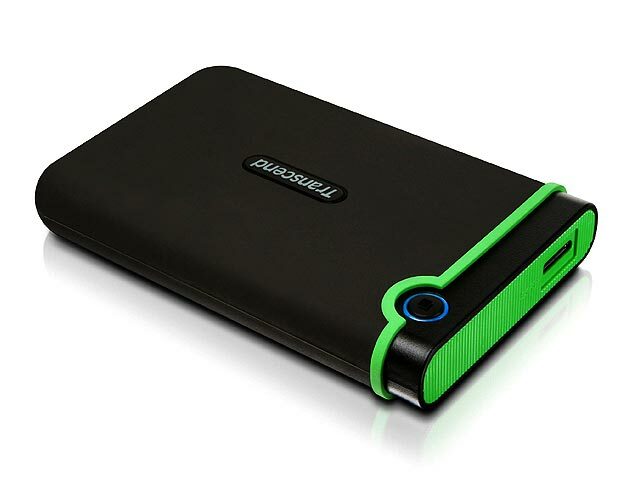 Sleek, robust and aesthetically hard looking, it comes with USB 3.0 and is sold in either 1TB or 2TB capacities. LaCie isn’t a new name when it comes to portable hard drives. You don’t even need to think twice before purchasing this 1TB rugged portable hard disk which comes with AES 256-bit encryption, USB 3.0, internal rubber shock absorbing bumpers, a shock absorbing sleeve and a scratch resistant aluminum casing. 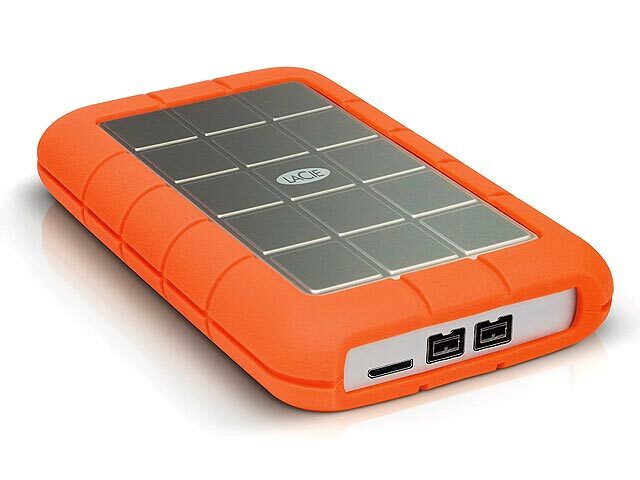 This LaCie Rugged portable hard drive can withstand falls from heights of about 2 meters. The only downside of this device is that it sports a Firewire port instead of a Thunderbolt port. 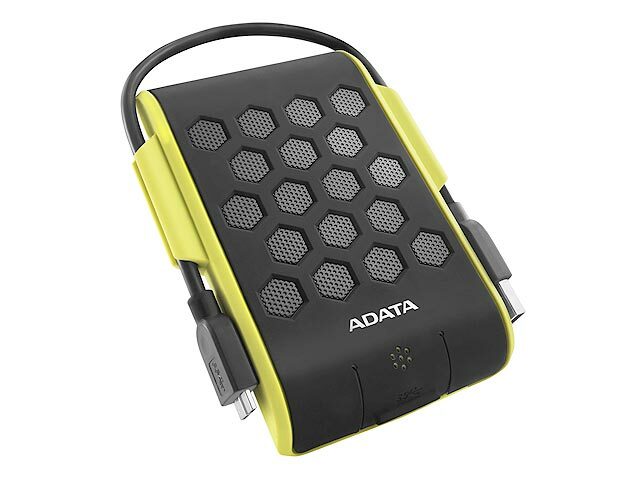 If you work in environments where things get throw easily into a bag, then this ADATA rugged external hard drive might be just what you need. This is another device that has passed the very tough military grade test for hard drives. It can last for one hour underwater in depths of 6 feet, and can also be buried five feet under dust. The drive has a detachable USB cord with a rubber seal which closes the USB port on the drive. It is compatible with Mac and Windows PCs although it’s preformatted for Mac OS. Two utility software are available for download on ADATA’s website: OStoGo and HDDtoGo. Otherwise called the Transcend StoreJet 25M3, this HDD is yet another viable option for people who wish to own a rugged portable hard drive. With 256-bit AES encryption, the drive which allows backup with a one button touch is a great device from Transcend. It’s compatible with both Mac and Windows users and comes with USB 3.0 and the Transcend Elite Data Management Software and a 3-year warranty. 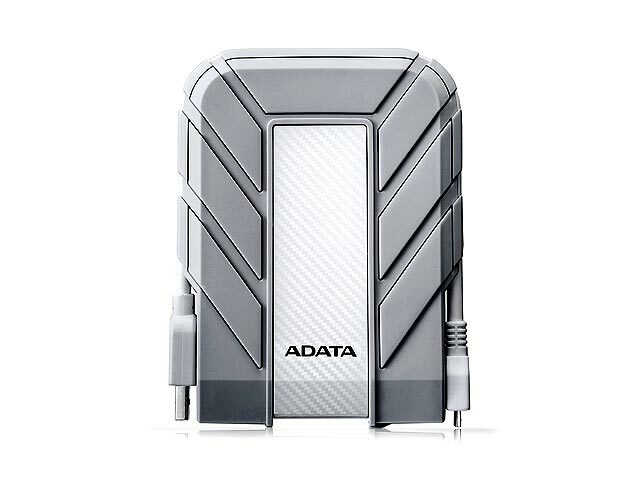 An “inexpensively designed reliable portable drive” is a short summary of the ADATA 720. Though its design may be quite unattractive to the eye, it makes up for that with its ruggedness. The drive is built to withstand falls from heights of 2 meters and is offered in 500GB, 1TB and 2TB storage capacities with color variants of black, blue and yellow-green. The ADATA HD720 has sensors which protect the drive in case of severe shocks. One downside it is only available for Windows users. If you are Mac enthusiast, than check out ADAATA HD710A it is Mac compatible. Both drives have similar specs. With similar specs as the Silicon Power Rugged Armor A80 Military Grade Hard Drive, the Silicon Power Rugged Armor A30 drive is as tough and as strong as its sister – it can be dropped from a height of 3 meters onto a hard concrete surface and still work like it was just unboxed. The drive is available in 500GB, 1TB, and 2TB black or white variants, and supports USB 3.0 with a 3-year warranty. Put this drive with its external case on water and see how it’ll float! The drive supports USB 3.0 and Thunderbolt ports. 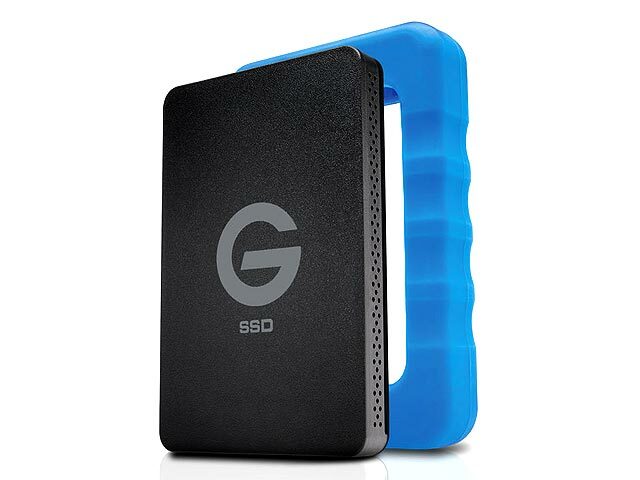 One thing worthy of note is that the casing is separate on its own and can work with other G-Tech external hard drives which you just insert into it. The G-Tech ev RaW drive you bought with the casing can be used on your computer without any need for the casing. The drive inside the casing can survive 30 seconds under water if it is eventually submerged given the fact that the casing is designed to float. Purchase this 1TB rugged drive, and you’ll be glad you did. Toughness is one factor that unites the aforementioned best rugged hard drives. Aesthetically, some of them aren’t that beautiful – who cares anyway, when you can have the ruggedness and keep your data safe. Timely post for me as the holidays are coming up and I have been looking for something that would be a practical gift for my husband. He has a travel hard drive, but one that is rugged and can withstand more abuse while traveling and being lugged around in his backpack. He has a ton of data that must travel with him on work assignments, so this review was excellent for me to see!